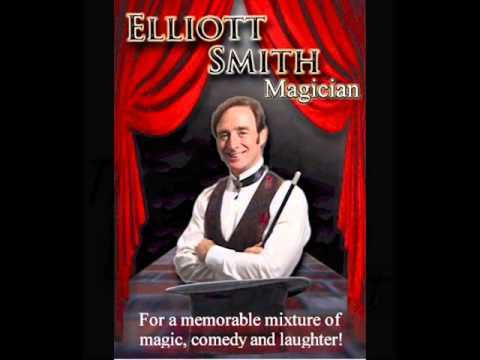 Elliott has been bringing his special brand of comedy magic to corporations, public & private events as well as television audiences across North America and Europe for over 40 years. His powerful combination of captivating magic, enchanting humor and engaging personality leave his audiences with laughter and wonderment. A member of the International Brotherhood of Magicians, Elliott has performed for past Prime Ministers of Canada, International Ambassadors and Jay Leno. He was also the headline act at the prestigious Friar’s Club in New York. 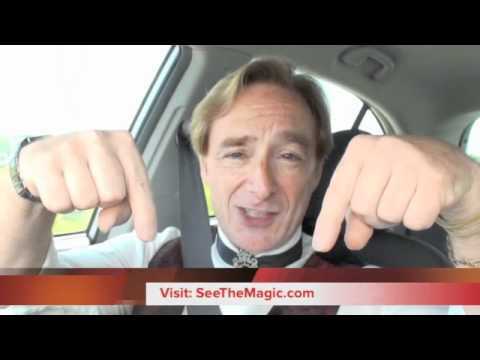 His interactive magic brings fun and excitement to any event large or small. He is a master of stage, close-up magic, escapes and mind reading. On Feb 3, 2018, we had Elliott Smith perform at our 55+ community. We had him booked several months in advance and couldn't wait for his performance. Needless to say, it was well worth the wait. He was awesome, a magical show that left us all wanting more. From the start of his show to the very end, he kept us all laughing. I am still getting compliments about the show, things like: "Best show ever", "I haven't laughed that hard in a long time", "Best event ever in our park". These are just a few. Thank you, Elliott for a memorable evening. See you next year!! Can't wait! Thanks Naomi, I had as good a time and laughed as much as you all did ... it was a memorable show! It definitely was a pleasure performing for you and your group and look forward to doing it again in 2019. This was Elliott's first time at our club and he was phenomenal. This was a sold out show of 200 members at a 55+ country club. Elliott kept everyone laughing the entire show. His interaction with the members was great to see and they loved it. My assistant and I were in the back of the room laughing the entire time. Everyone was very impressed with his performance. I had members ask how I found him and to please bring him back. A great time was had by all. This was Elliot's third visit to our location. I couldn't be happier, the show was great, he connected with the audience - kids and adults alike. Everyone left happy. Time went by so quickly as the audience was entertained the entire time! This will be a tradition here. Can't wait for next year! Sometimes it's hard to fill a room at library's events but Elliot fills this room every year. Elliott Smith packed them in at our Town Hall at Regency Oaks last night. We thought 170 chairs would be enough seating but, when passersby heard the raucous laughter coming out of the Hall, they began bringing in seats from outside and jamming the aisles. Smith had to wriggle his way through chairs, walkers and wheelchairs to drag unsuspecting foils up on the stage as part of the act. I think we have contracted to have him back again in the Autumn, next time we'll be prepared. Great Show!! Thanks for your kind words, Frank. And yes, there was no shortage of fun and laughs, what an amazing night we had. Looking forward to be back on September 17 with a new show ... get ready! For the second year we had Elliott Smith - Magician perform for our lodge. He is amazing. The audience was enthralled by his magic and his humor. Elliott involved members of the audience to help him perform his magic acts. Everyone had a great time and the show is just the right length. Thanks, Mary, always a pleasure and lots of laughs performing for your guests. I look forward to the next opportunity. We are a smaller 55+ community in Ellenton, FL. We booked Elliott for a one hour show and the group really enjoyed the show. We took a sampling for our review and the responses were: funny, entertaining, great audience participation, impressive magic, and will book again. Elliott provided his own backdrop, which adds to the professionalism of the performance. Consider this act when looking for the out of ordinary performance for your group. Thanks, Pegi, it certainly was a pleasure performing for you and your group. Elliott Smith performed his comedian/magician show for our 55+ community on Saturday, March 2, 2019 for the second time. His shows are always very entertaining, keeps you spell bound with his magic and there is never a dull moment. You never stop laughing. A great show and evening. We will definitely be inviting him back next year. Can't wait!!! A wonderful hour of pure enjoyment and laughter! and we at Millpond would highly recommend him for an event and we hope to have him back here at Millpond sometime in the future! Thanks for the great comments, Susan. It was my pleasure to perform for you all and to hear the laughter and put smiles on everyone faces. On time, even in the rain. Followed through professionally and took care of his customers even after the show. Elliott's show was one of a kind! He entertained young and old alike at our family BBQ. People spoke about the show all day long. I would strongly recommend him for any event! Elliott is simply amazing.His talents are mind blowing,and the personality to match it.If you want to impress your guests for any event this is your guy. Thanks Eston, much appreciated. I look forward to the opportunity of working with you again! Elliott came to our Community a few weeks ago and performed his magic show. Our Residents were thoroughly engaged and Elliot even had some of the Residents participate in a few of his tricks. His personality and sense of humor made the show even better. The evening was a great success and we already have booked him to return next month. From a Club Operator's Point of View. I never saw a crowd as totally tuned in to a show as they were with Elliott's performance. 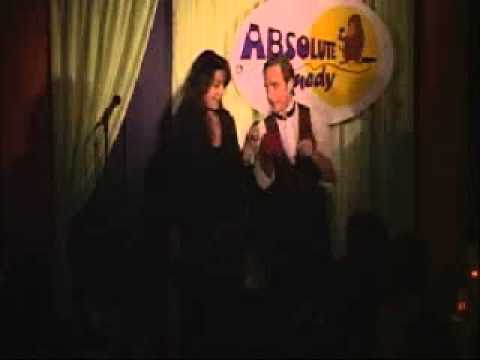 Not only is he an amazing Magician but one of the funniest comedians I have ever booked at Coconuts Comedy Club. Elliott kept the show light and fun with no shortage of thrills and laughs, he left everyone speechless with his slick magic. I recommend Elliott to anyone looking for a great night of entertainment, he has been one of our most popular shows ever. We have had Elloitt Smith again and again for our Christmas celebration in Spencervill. He is very good. The audience, children and adults were in awe. They loved him. He was recommended to us as "the best magician, I have ever seen." I could not agree more. He is also a true professional, easy to work with, able to adapt, just a wonderful experience. I recommend him for any event you may be planning. From the moment Elliot takes the stage, the fun never stops. He will entertain in his manic style, while engaging the audience, and keep you laughing and amazed from the beginning till the end. Stage magic: Wow the guests at your next event no matter what size of audience you have. Elliott's interactive stage show will captivate your audience and is packed with humour and surprises they will not soon forget. 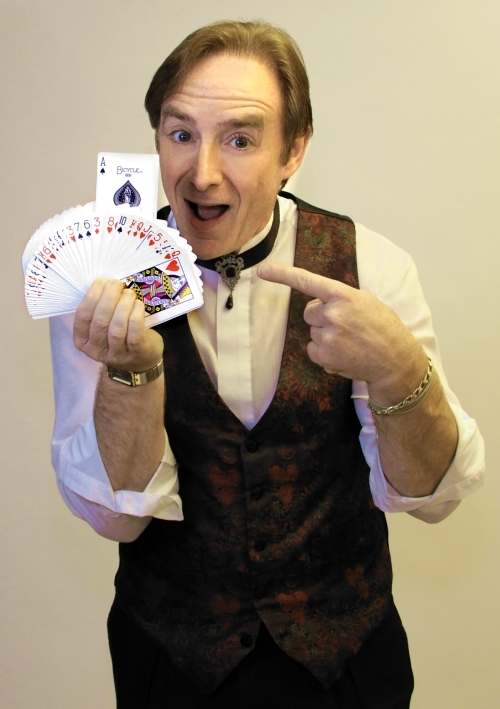 This show is comprised of illusion, Mentalism and escape maximizing the use of comedy, wit, lots of audience participation and 'fun' with many hilarious moments your guests are sure to remember. The audience will not only see the magic but they will live it! If you're looking to laugh and have a great time, this is the show. 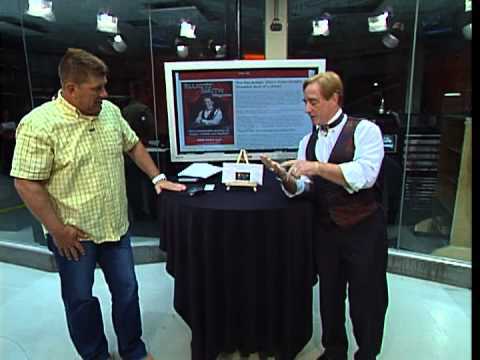 Close-up magic: Elliott performs close-up minor miracles of magic through-out the room interacting with your guests during a reception, open-house or customer appreciate event. The magic happens mere inches before their eyes and sometimes right in their hands ... they won’t believe their eyes! This works great as an 'ice-breaker' and adds a personal touch that raises the level of energy in the room. It stirs up lots of laughs and creates a pleasant atmosphere for everyone! Aside from being a professional entertainer., Elliott is co-author of the internationally acclaimed book, Highway to Success, a unique book designed to help performers, entrepreneurs, home-based business (and indeed, anyone who is following their dream) to develop business savvy. His book is sold throughout North America, Europe and now published in Indonesia. Elliott was named and chosen as one of 'Ottawa’s Top Fifty' influential people by Ottawa Life Magazine, was awarded the prestigious Order of Merlin Shield by the International Brotherhood of Magicians and nominated for Small Business of the year by Ottawa Tourism.